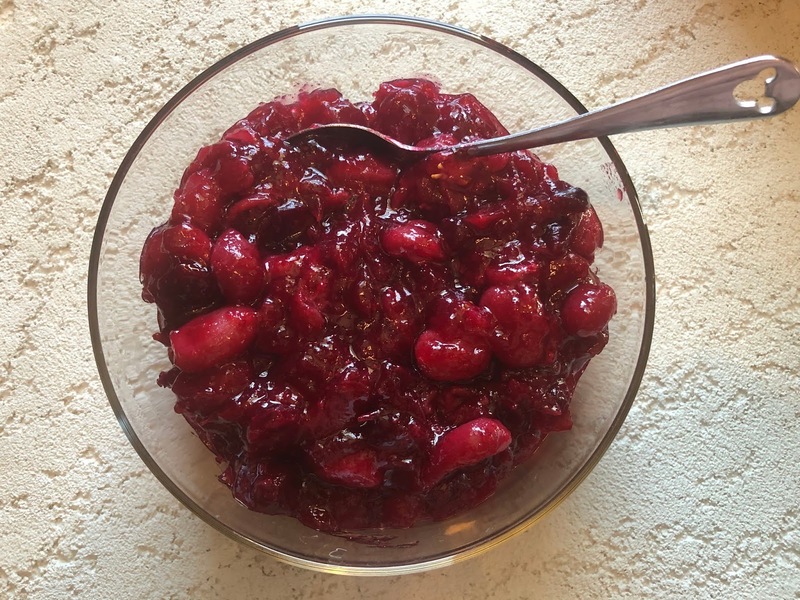 For me, it is just not Thanksgiving unless you have home made cranberry sauce. I mean, yes, I know many of you are a fan of the can, but for a day as special as Thanksgiving, it's time for something fresh and homemade. Many many years ago, I asked my Mom how she made her cranberry sauce, and now I'm happy that I get to make it for my family every year. But I still like finding other versions and variations! 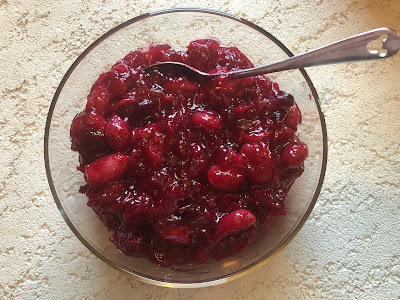 (frankly, I've never met a cranberry sauce I didn't like) And that brings us to THIS recipe from Martha Stewart. This is what I like to call "stupid easy." Like, I don't even think it could be any easier. You literally just throw everything into a sauce pot and let it simmer. That's it. Done. How awesome is that?? And as with everything Thanksgiving, we all know that doing as much as you can in advance is the best option. You could make this DAYS in advance, so it's really a no brainer. So lets talk about the most important thing.. how it TASTES! I would venture to say that if you are not usually a fan of cranberries, then maybe give this one a try. The grapes mellow out the tartness of the cranberries and it's a perfect blend! Kind of like if grape jam and cranberry sauce had a baby. If you've ever felt intimidated by the thought of making home made cranberry sauce, this is the recipe for you!! And if you love cranberries as much as I do, then you absolutely MUST give this one a try! In a large sauce pan, over medium high heat, bring cranberries, grapes, sugar, and 1/2 cup of water to a boil. Reduce heat, and simmer until most of the cranberries and popped and the grapes are falling apart, about 10-15 minutes. Remove heat. Add salt and stir to combine. Let cool to room temperature (compote will thicken as it cools.) Serve at room temperature. Because of the amount of natural pectin in the cranberries, the sauce will gel firm when you refrigerate it. I think it looks prettier as more of a loose sauce, so I gave it a quick stir just before serving. Serve leftovers as a spread on bagels with cream cheese or heat it up and serve it warm over vanilla ice cream!